Thank you for considering making a donation to ensure that Mission ConneXion can continue connecting people to God’s mission! You can make a donation by check and send it to us by mail. Contributions made to Mission ConneXion are tax-deductible to the donor where allowed by law and in accordance with our status as a 501(c)( 3) organization. Tax-deductible receipts are sent for all valid contributions. More information about your rights as a donor can be found on our Donor Bill of Rights. Mission ConneXion is committed to the highest level of Biblical stewardship, financial accountability and transparency. We are audited annually by an independent CPA firm and our annual financial statements are available on this website. 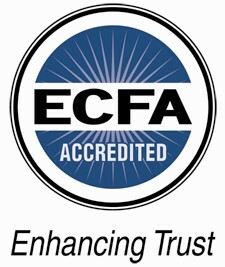 Mission ConneXion is also an accredited member of the ECFA (Evangelical Council for Financial Accountability).